Bovis has announced the appointment of a new chief executive as the struggling housebuilder lost its last suitor. 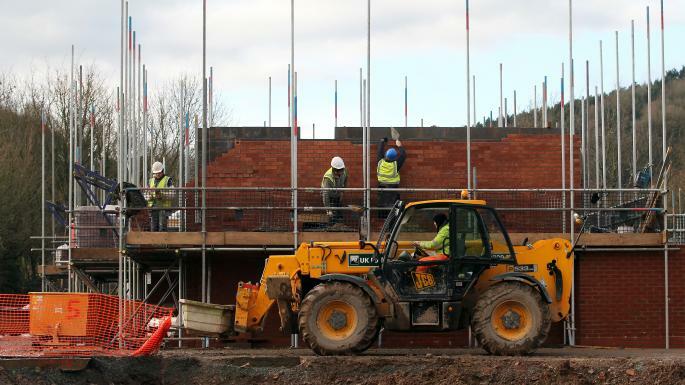 Galliford Try, the construction and housing group, has walked away from a potential tie-up, saying it had become clear that it was not possible to get the support of the Bovis board. A merger would have created one of Britain’s biggest housebuilders, producing about 7,000 homes a year. Bovis, which named Greg Fitzgerald, 53, a former chief executive and chairman of Galliford Try, as its new chief, said the deal failed to reflect the underlying value of the business. “Accordingly, the board has decided to reject the proposal as it believes that an independent strategy under the leadership of Greg Fitzgerald will deliver greater value for shareholders,” Bovis said. Mr Fitzgerald spent more than 30 years at Galliford Try. He is a former non-executive director of the National House-Building Council and is a non-executive chairman at Ardent Hire and Baker Estates Limited. He starts on April 18 and will take control of a review of the company’s strategy and structure that was announced in February. Speculation about Bovis’s future arose after it was forced to issue a surprise profit warning in late December, telling investors that it would miss its target of completing 4,130 homes by the end of the financial year. Two weeks later, David Ritchie, its chief executive, stepped down. It was then revealed that Bovis had offered customers as much as £3,000 each to complete on homes that were not yet finished in what analysts claim was a failed attempt to meet City targets before the end of the financial year. The group has since set aside £7 million to redress complaints. Shares in Bovis, which had been recovering after falling sharply along with others housebuilders in the wake of the EU referendum, fell after the profits warning before rallying last month when it revealed interest from Galliford Try and Redrow, a mid-sized housebuilder. The housebuilder had rebuffed the initial approach from Galliford Try about a merger but had remained in talks about a possible deal until today. It rejected an approach from Redrow worth 814p per Bovis share, made up of cash, new Redrow shares and a dividend payment. After the rejection, Redrow said it was still interested in a deal but later pulled out saying raising its offer would not be in the interest of its shareholders. The offer had been regarded a low by most in the City. Bovis shares rose 26p to 872½p in early trading. Galliford Try shares rose 12 to £14.73½.